When a person thinks of the documents that make up his or her last will and testament, he or she likely thinks of only the pages that were present in his or her attorney’s office at the time the will was signed. While each of these pages almost certainly make up a person’s last will and testament, other documents outside the pages of a person’s last will and testament can exist to expand, or even limit, his or her will. In North Carolina, several doctrines have been put in place that define the scope of a person’s last will and testament, including the (i) doctrine of integration, (ii) doctrine of republication by codicil, and (iii) doctrine of integration by reference. These various principles, and how they help to define a person’s will, are the topic of this article. As mentioned, the first place to begin in determining the documents that make up a person’s last will and testament are the pages of the will itself. The doctrine of integration provides that those pieces of paper that the will maker intended to be part of the will and that are physically present at the time of the execution of the will constitute the pages of the will. 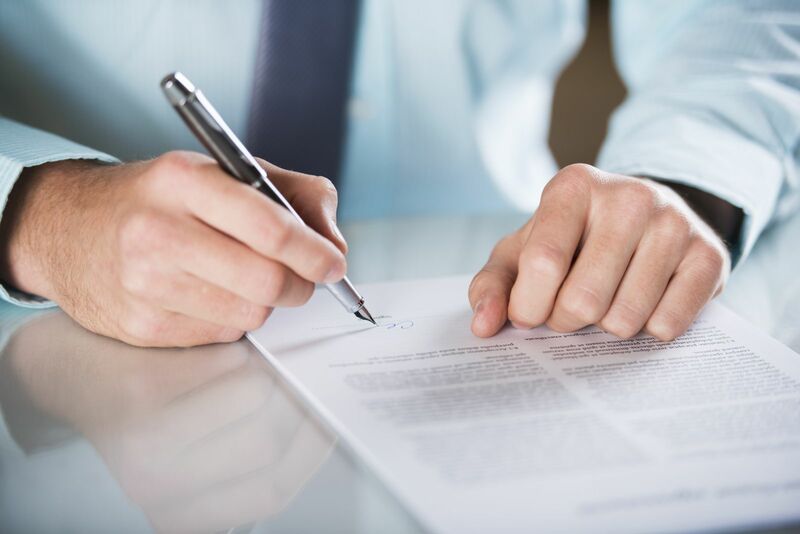 In most cases, the pages that make up a will can be demonstrated by physical attachment, such as stapling, or language from one page of the will referencing another. While the doctrine of integration is not typically an issue with an attested will, it is more commonly seen with holographic, or handwritten, wills. While the doctrine of integration references those pages that constitute a person’s last will and testament, a codicil is a document that may also become part of a person’s will. A codicil is a written document that is executed after the execution of a last will and testament. The purpose of a codicil is to modify, alter, or expand the will in one way or another. A codicil, and the last will and testament it references, are typically read together and treated as if they were a single document executed at the date of the codicil. Thus, these documents are integrated into one overall testamentary plan. This concept is what creates the doctrine of republication by codicil. Under this doctrine, the will is essentially re-executed with the codicil, so that the will is made to speak as of the date of the codicil. In order for a codicil to be valid, it must be executed with the same formalities required for the execution of a will. Like a last will and testament, a codicil can be admitted to probate by itself if the person creating the codicil so intends. In fact, if a will maker’s will is not admitted to probate for some reason, and the codicil is admitted to probate, the codicil becomes a will. Thus, what looks like a codicil can serve as a will. This most commonly occurs where a codicil incorporates by reference (see below) a prior defective will, thereby validating the instrument. For example, Paul executes a last will and testament that is not valid because it does not meet the requisite statutory formalities for creating a will. However, Paul later executes a valid codicil that references his prior invalid will. Because of this, the codicil will validate the previously invalid will, assuming it met the requisite statutory formalities. North Carolina General Statute 31-51 recognizes the doctrine of incorporation by reference. This doctrine allows documents other than the pages of a person’s last will and testament to be made part of his or her will even though these extrinsic writings are not executed with the formalities required for a will. If you are thinking of making changes to your last will and testament, or even just need clarification on the documents that are encompassed within your will, contact our Charlotte area estate planning attorneys at Browning & Long, PLLC online, or by phone at (980) 207-3355, to discuss the specifics of your case.